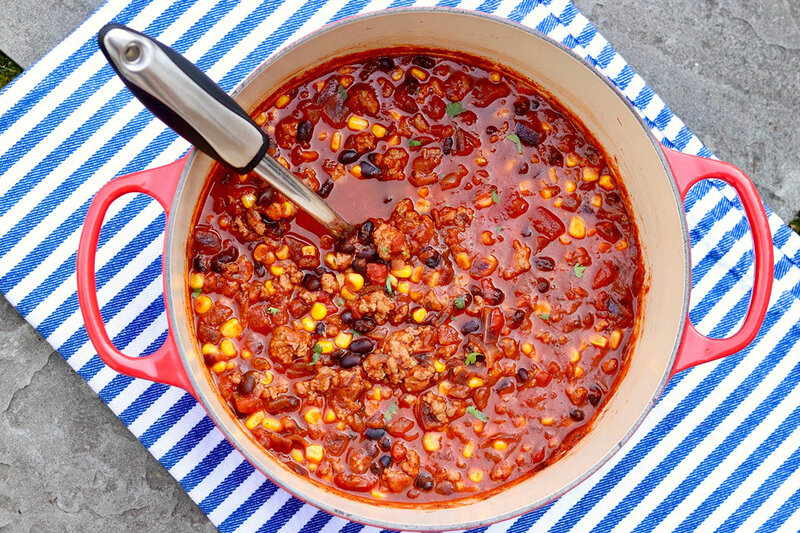 Quick, easy and super satisfying, this flavorful chili is a go-to on busy nights and reheats beautifully. This recipe is quick and easy chili at its best. 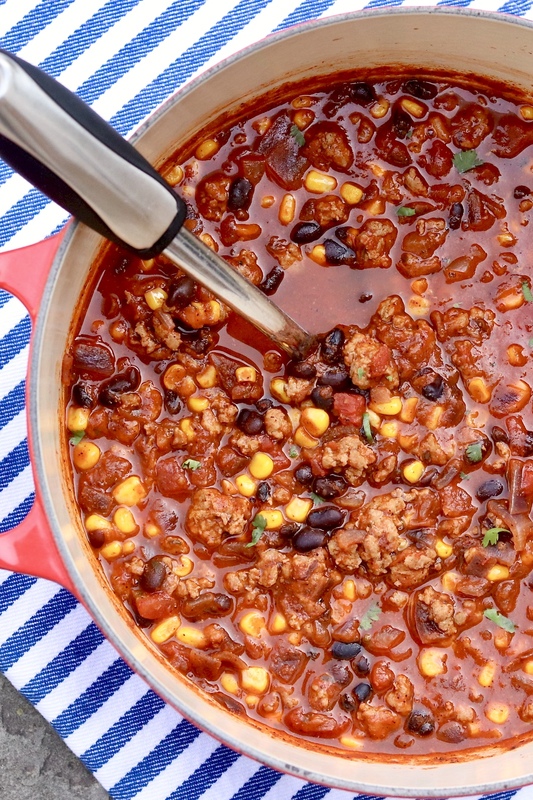 It may not be the nuanced, chili cook-off entry that’s layered with a variety of peppers and boasts hints of cocoa and coffee－but it’s family friendly and guaranteed to be the cook’s best friend on a busy weeknight. And hey, if my 17-year old son were voting, it might even win the chili cook-off! 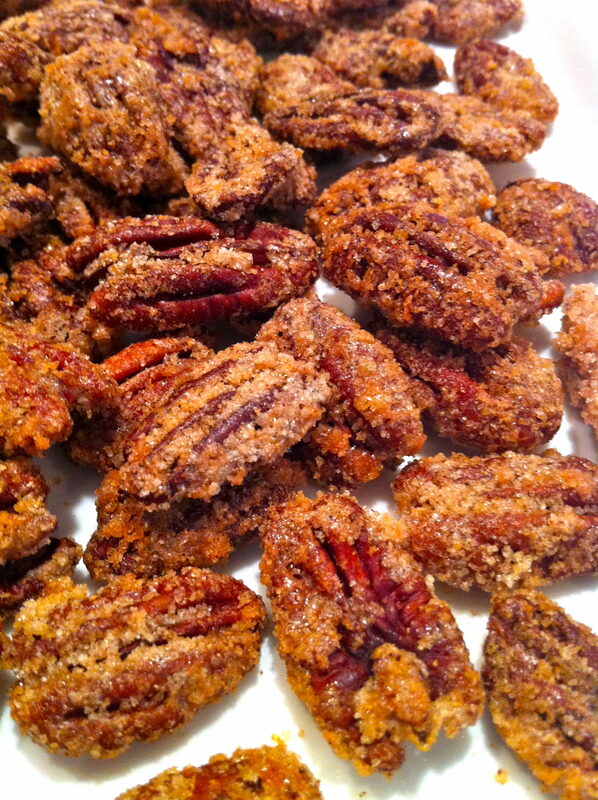 As the name reflects, I have my Aunt Peggy to thank for this recipe. My first taste of it came when she surprised me with a generously filled container when we met for coffee one afternoon a few years back. After my son oohed and aahed, I requested the recipe. When a new lacrosse season begins each spring, I begin making this recipe in earnest. Despite what the calendar says, the weather doesn’t always feel so spring-like, and a warming bowl of chili always hits the spot. Beyond the weather, the bigger issue is often the special challenge school sporting events present in terms of mealtimes. When we return from after-school games, everyone is starving and ready to eat right away. Evening games mean we have to eat earlier than usual. Whatever the reason for a dinnertime conflict, this chili comes to the rescue on busy nights. And why exactly is that, you may be wondering? First, it’s quick and easy. 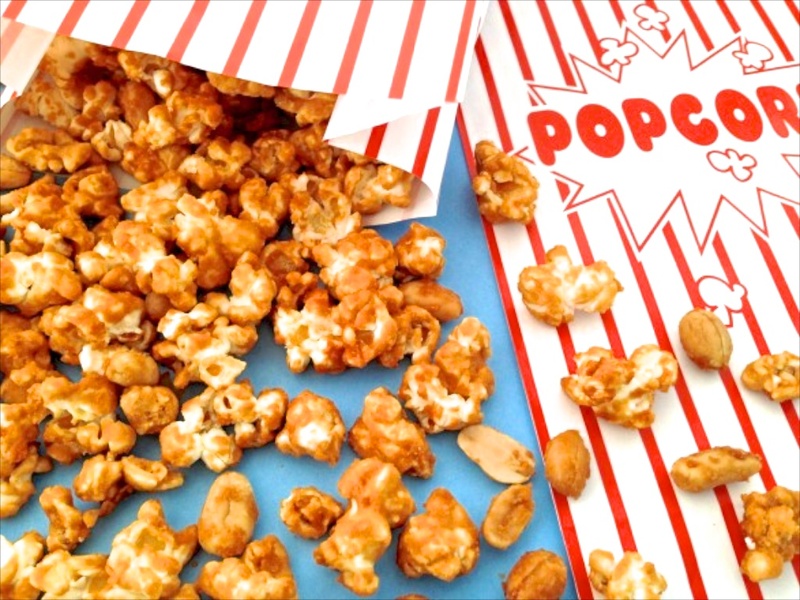 Second, the ingredient list consists of basic pantry ingredients, making it a doable meal when caught without a plan. Third, though it doesn’t require an extended simmer like many chili recipes, this hearty bowl still packs a flavor punch. I especially enjoy the tomatoey undertone afforded by the addition of marinara sauce. Last but certainly not least, this satisfying meal reheats easily and the flavor improves with time. I often prepare it early in the day so it’s ready to simply scoop into bowls and warm. This offers added convenience when various activities necessitate eating in shifts. Of course, there are a thousand different ways to enjoy a bowl of chili, and this recipe allows for easy customization. My aunt and uncle prefer a thicker chili, while we enjoy a hint of soupiness. Either is possible thanks to one simple ingredient adjustment. As written, the recipe is family-friendly. The spice level is mild and the marinara sauce supplies a subtle sweetness that complements the otherwise savory ingredients. Optional toppings allow individual diners to customize to taste. 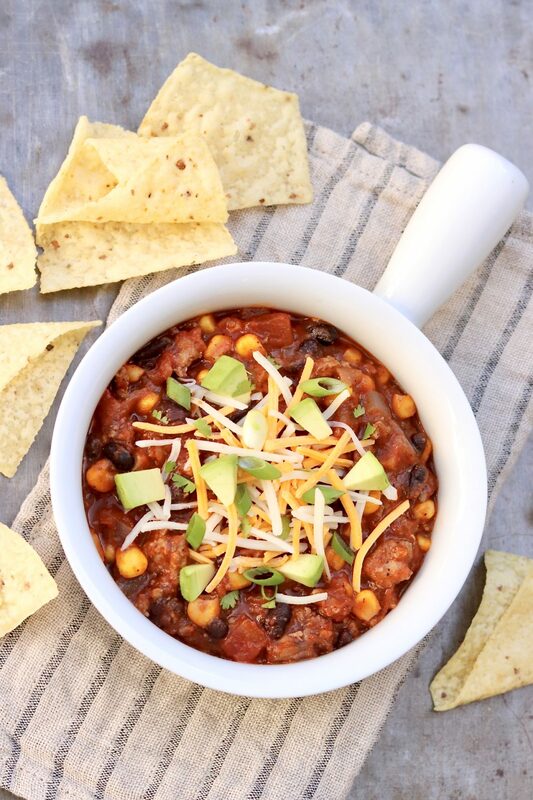 This speedy chili is hearty, healthy and worthy of the weekly rotation. Leftovers improve with age and freeze well. Quick, easy and super satisfying, this flavorful meal is a go-to on busy nights and reheats beautifully. Heat the oil in a large, heavy-bottomed soup pot or Dutch oven over medium heat. Add the onion and sauté until softened, 2-3 minutes. Stir in the ground turkey, and brown the meat, crumbling as you go. Add the chili powder, cumin, oregano, pepper and garlic powder in the final minute or two. Give everything a good stir, increase the heat to high and bring to a boil. As soon as the chili boils, reduce the heat to low, cover and simmer for approximately 30 minutes. 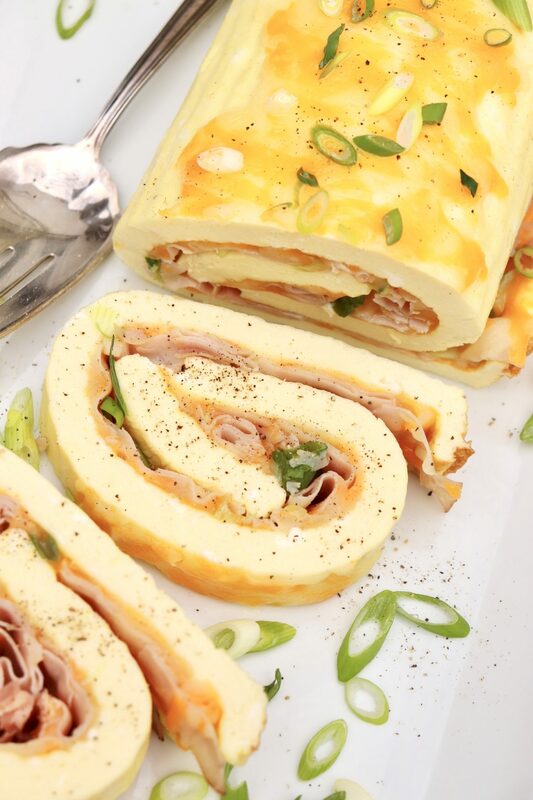 Serve with optional toppings of choice. •I often use ground turkey that includes the thigh meat, but you may use ground turkey breast if preferred. •This chili is not spicy. For a hint more heat (on par with mild-medium salsa), you may use 1/4 teaspoon cayenne－or more to taste. •Aunt Peggy usually skips the broth for a thicker chili. She also adds 1 teaspoon of sugar, which you may stir in with the marinara sauce if desired. Hi Missy, I tend to try different sauces, often looking for local options or brands with smaller distribution. I also go for simple－plain marinara without extra flavorings. I just read something positive about Rao’s, so last week I picked up a jar of that to try. Good luck with your lacrosse season…and here’s hoping for more sunny weather! This chili recipe looks great! I too remember many cold evenings at spring sports events-baseball and lacrosse. I would just like to add a comment about Alessio’s spaghetti sauce. It is the only brand I buy because I have a heart condition and it is very low sodium compared to other brands. It is also very tasty, and locally made! Judith, Thank you for your comment and the mention about Alessio’s. I believe my aunt likes it because it’s also low in sugars…and local is a bonus!